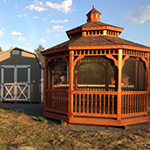 Emanuel started Hill View Mini Barns in 1999 shortly after getting married and moving to Maine. Over the years he has built the business from a sole (and soulmate) operation to over 30 employees, 5 sales locations, and many display locations. At the start he worked out of a garage that could barely fit one large building. He can be found in the shop advising the crew, in the office doing sales, or on the road picking up materials or talking to customers. Randy works out of the Etna office. He spends a good deal of his time working on the day to day operations of the business. He may be working between the shop and customer to answer questions, or behind the scenes keeping the business organizes. Randy may also be found filling in doing sales when things get busy. 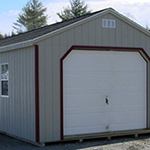 He has worked for Hill View Mini Barns for well over 11 years and has a great understanding of the products offered from small storage sheds to homes and modular barns. Adam works doing sales out of the Holden sales location. 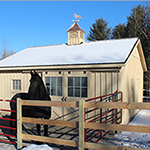 He has extensive design, drafting, and engineering experience and is a valuable asset to have at Hill View Mini Barns. 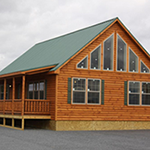 Adam will be able to guide you in your purchase decision whether it's a small storage building or a log sided home. Over the past few years his knowledge of the log sided homes has grown to the point where he's our 'go-to' person for that product. 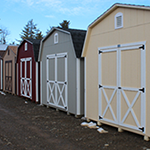 Collin started with Hill View Mini Barns right before the summer rush of 2017. With his previous trucking experience he had no trouble operating the different trucks and trailers that the company owns. He has been driving trucks since he was about 10 years. He lives locally with his wife and two children. Collin also is involved with one of the local towns as a Firefighter. In his spare time he enjoys hunting and fishing. 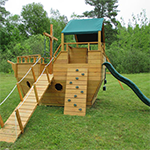 On many occaissions customers that Collin delivers buildings to call or email with rave reviews. He's careful and thoughtful getting the buildings placed correctly. 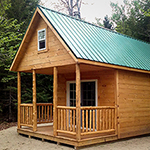 He has been with Hill View Mini Barns for several years and also brings with him his carpentry skill when needed. He works mostly in the southern part of the state, filling in the sales offices when needed and also in the new Gray, Maine office. Previously Wendell did deliveries for southern Maine. He's adept at sales, driving the truck, checking a job site, or making the occasional repair. Before working in the Etna and Sabattus office at Hill View Mini Barns, Andrew had years of culinary experience and some farming background. He enjoys meeting people and learning more about them in the great State of Maine! 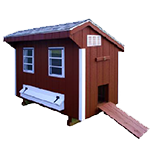 He likes discovering their specific needs and figuring out how Hill View Mini Barns can best meet those needs. He never gets tired of seeing how many different ways there are to build four walls and a roof. By the way, Andrew can also make a mean pizza! Nick came to us after 4 years doing data entry at a local bank. He works mainly at the Etna office were he does sales and other related tasks. Most of his life has been spent in the central Maine area where he currently lives with his wife and 2 young children. Nick is a big Red Sox fan and loves to play softball and baseball. Also, he's skilled at drawing and has done many hand lettered, painted signs in his spare time that he sells and gives away. If you purchase a stick built garage or a modular home, you're bound to see Mitch and a few of his assistants at your place. 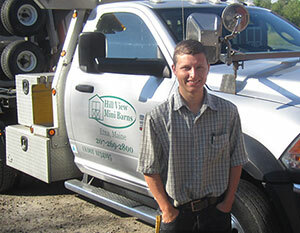 Mitch has been with Hill View Mini Barns for several years and is also a skilled carpenter, hard working, and agile. Many of the larger buildings get partially constructed in the warehouse, then loaded on the trailer for assembly at your site. 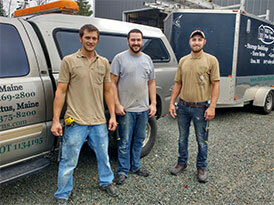 Pictured with Mitch (far left) are Travis and Ryan who work together and complete the job site crew. A.J. makes long runs and also shorter deliveries between our locations. He's shown his expertise with his trucking in the time he's been driving for us. All of our drivers are responsible for their trucks and do a daily inspection before hitting the road so that they can be as safe as possible. A.J. 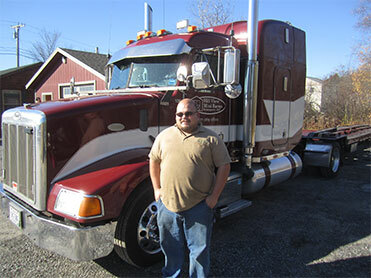 has shown that he knows trucks and driving making him a great fit for our company! Brendell handles a lot of the deliveries in southern Maine. He works between the Sabattus, Gray, and Lyman lots. If you live in the southern part of the state you may see him with trailer remote in hand carefully unloading your building. He may be new to Hill View Mini Barns but he's proven himself to be a great fit.